Part of the company’s decision to close the Charlottesville sales center on Preston Avenue is size and the inability to expand there, Etherly said. The building has had two expansions, according to city records, in the 1950s and 1980s. Mr. Southerly was not the only property owner concerned that his property rights were being impinged by this new designation. Several others raised concerns and asked the commission not to create the overlay. Ms. Lewis felt the fact that the owners were not in complete agreement with the designation was a vexing factor. She noted the City Attorney had advised that was not a reason to deny. She cited the Staff report that their standard for review was to make an advisory recommendation to the City Council as to whether the proposed amendment would serve the interests of public necessity, convenience, general welfare, or good zoning practice. To determine that they were to ask whether the existing zoning of the property is reasonable and whether the proposed zoning would be reasonable and a relevant factor to look at was the Comprehensive Plan designation for the property. What does it mean if the city considers a property “historic”? The city, either through staff or the BAR, will have to approve additions, renovations and especially demolitions. Charlottesville’s BAR has earned a reputation for being particularly tough on building owners wanting to alter design-controlled property [emphasis added-nw], which means many property owners aren’t going to be enthused by seeing their addresses on the list. To add local design control, owner consent is not absolutely necessary—it’s legally like a rezoning—but any Council decision must involve public hearings and meetings by the BAR and the city Planning Commission, as well as Council. The motion passed, 4-3; Mr. Mitchell, Ms. Lewis, and Mr. Rosensweig voted against. Summary: In August 2008, Coca-Cola Mid-Atlantic asked not to have their property saddled with this historic designation; the City of Charlottesville ignored their wishes and enacted the overlay. In July 2010, the company announced it was closing the plant. The Free Enterprise Forum does not believe the consolidation decision rests solely on the historical overlay designation, but it certainly was a factor in the decision making. The City of Charlottesville’s choice of historic preservation over property owners wishes helped usher 42 good career ladder jobs out of Charlottesville. UPDATE 7/28 2:33 pm – One regular reader of the blog, who was involved in this issue, indicated the City changed their position and (on a 3-2 vote) only designated the front of the building as historic. Further this reader suggested the Coca-Cola company was comfortable with this change. A review of the minutes of City Council show that the City did change the designation to be only the older section of the building but there is no public record of the property owner support (that does not mean it was not the case). The Free Enterprise Forum appreciates this clarification. Previous FOIA Required to Gain Release of DEQ Water Plan Analysis? 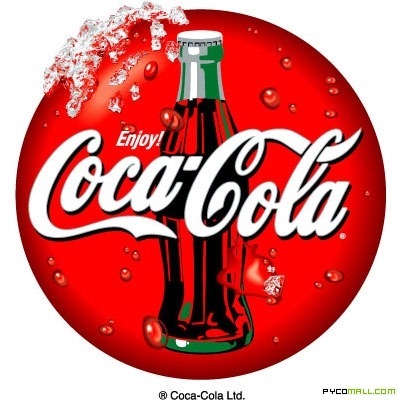 Neil – Just to clarify the final Council vote on designation of the Coca Cola building: it was not just the facade or “front” of the building, but the oldest and largest, I believe, portion of the building which was approved to be individually designated. As for my vote, I wanted to preserve the art deco exterior and feel the building is an asset to Preston Avenue. However, this property and two other properties brought together for our consideration presented a new scenario for us: designating a property against an owner’s wishes. In the end, 134 Tenth Street (the OTHER Coca Cola Bottling building) was designated against the wishes of the owner, Bill Chapman. After its owner had to hire an attorney to get involved, the Monticello Dairy Building’s proposed designation was compromised in the same manner as the Coca Cola one a few blocks down: only the oldest, most significant portion was designated. A similar designation exists on the Silk Mills Building on Harris Street, with only the oldest portions protected. But what would have happened if the owners had not objected and forced this “compromise”? BTW- my name is spelled with a “C.” The minutes have it correct.